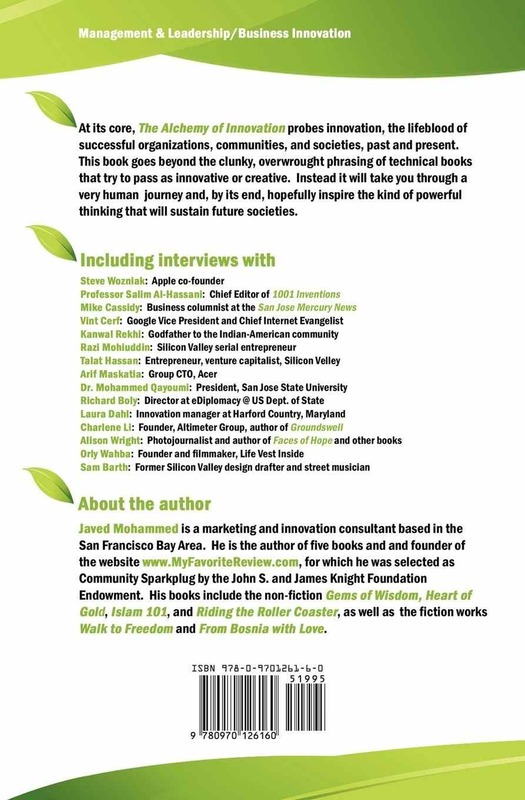 In his new book, The Alchemy of Innovation, published in early 2013, Javed Akhtar Mohammed explores, through interviews with several well-known personalities, the different facets of innovation, considered as the lifeblood of successful organizations, communities, and societies, past and present. Professor Al-Hassani, President of FSTC, one of the interviewed personalities, sheds light on innovation in the classical Islamic civilisation and describes the general context in which past scholars of the Muslim World applied innovation to create a developed society, whose contributions and influence are still visible in today's world. Javed Akhtar Mohammed, The Alchemy of Innovation: Ideas, Inventions, and the Ecosystem, published by Pyramid Connections, 2013, 298 pp., Paperback (ISBN-10: 0970126166 - ISBN-13: 978-0970126160). In this book, Javed Akhtar Mohammed explores the different facets of innovation, considered as the lifeblood of successful organizations, communities, and societies, past and present. Through interviews with influential scholars and managers, the book goes beyond the clunky, overwrought phrasing of technical books that try to pass as innovative or creative. Instead it takes the reader through a very human journey. 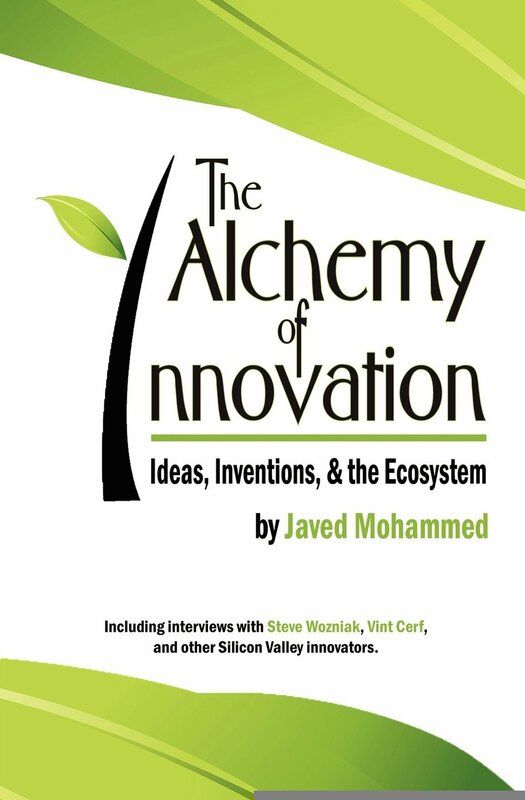 Figure 1: Book cover of The Alchemy of Innovation by Javed Akhtar Mohammed (Pyramid Connections, 2013). The Alchemy of Innovation is easy to read and the content is also easy to apply. Excellently written, the book attempts to answer the complex question about innovation through interviews, anecdotes, and quotations from several well-known personalities. The author has a vast technology marketing experience and a good understanding of what makes innovation work in our society and in the past. In a well-written and well-researched style, Javed Akhtar Mohammed combines history, philosophy, insight, and interviews with leading innovators to give a fresh and interesting perspective about innovation. In summary, a must-read for those interested in the subject. Among the interviewees is Professor Al-Hassani, President of the Foundation for Science, Technology and Civilisation (FSTC), sheds light on innovation in the classical Islamic civilisation and describes the general context in which past scholars of the Muslim World applied innovation to create a developed society, whose contributions and influence are still visible in today's world. Emeritus Professor of Mechanical Engineering at Manchester University, also President of the Foundation of Science, Technology and Civilization (FSTC) and founder of the academic portal www.MuslimHeritage.com. Q. As someone who has studied innovation, can you tell us what it means to you and how it played out for Muslim civilization? Figure 2: Back cover of the book. A. Innovation means taking inventions to the marketplace. Muslim inventors were not concerned with the market or protecting intellectual property through copyright and patents, etc. Q. So what inspired their inventions? A. Early Muslims were charged. They plugged in five times a day to God through their prayers named "Salat", which is related to the word connect, and this is what gave them their input, their spiritual energy. They then dissipated that spiritual energy through their work by doing useful and righteous deeds. Q. So how did that transpire? What for scientists were righteous deeds? A. Any useful work to improve the quality of life of people and the environment, including animals and plants. Q. That is pretty broad. There are many luminaries and innovators that your research of Muslim science and history covers. Can you pick one example and share something that really hit you? A. Abu al-Rayhan Muhammad ibn Ahmad Al-Biruni was born in 973 CE in what is today Uzbekistan on the southern shores of the Aral Sea. However, he spent a large part of his life in what is now Afghanistan and North West India. Al-Biruni was a prolific scholar in diverse subjects from physics, mathematics, and astronomy, to natural sciences, and was also a historian, chronologist, and linguist. It is said that on his deathbed a man came to visit him from a different town. Al-Biruni, once learning about him, said, "I have been looking for you for years." He gave him a mathematical problem and said "you have the solution. Would you give it to me please." The man was curious as to why on his deathbed Al-Biruni would act this way. Al-Biruni replied "what will I say, when I meet God, and I had this opportunity to learn and I didn't take it." So to Al-Biruni, seeking and spreading knowledge was a useful deed linked to faith. Q. That's a fascinating story. Can you share anything else about Al-Biruni's background that we could take a lesson from? A. Well, he wrote over 200 major works. He calculated mathematically the circumference of the earth. There was a discrepancy between his calculation and the actual field expedition that he had commissioned earlier to make the measurement. He sought to approach the same philanthropist who had sponsored his previous expedition, but Al-Biruni was sad to find he had died. Imagine today, 700 years later, going to Muslim millionaires or billionaires and asking them "I would like to measure the circumference of the earth, would you sponsor me?" What kind of a response would you get? Q. I am wondering what has changed for society at large. Do you think Maslow's hierarchy of needs is a requirement for people to be creative and innovative? A. In those days people's needs were minimal. There is always the need for the basics, food, shelter, etc. If you didn't have a sofa or dining table, which was the case for most people, they just sat on the floor. Their demands were not materialistic. Q. That is so universal. If we step back and look at where humanity is today with respect to innovation and benefitting humanity, where do you see us? A. There is a huge imbalance, where people are being robbed of their possessions and rights through inflation, fiscal instabilities and lack of ethics. We see this from the ongoing financial crisis, so there is a slow-motion collapse going on. If you look at it, the Pharaoh's civilization was, relatively speaking, way ahead of where we are in the West today. They treated people like slaves. But the Pharaohs lacked a moral system. They did not treat other humans with dignity. The Industrial Revolution eventually enslaved people. Women were enticed to work in the guise of freedom and equal rights only to increase industrial output and increase tax revenue from each family. Women are still struggling to carve a respectable space for themselves. Q. But with an increasing world population, hasn't the Industrial Revolution improved the standard of living, and also produced so much more capital and productivity that has benefitted society? A. From a humanity point of view, there is a moral dimension to everything. Yes we have improved crop yields, and we have genetically modified foods, but what is the end result? While some have plenty, many others are hungry. In Islam hoarding of food or gold is a big sin. Today people worship material acquisition. But there are rules in nature that will not allow this to go on forever. There are in-built systems which require balance, justice and dignity. When these go pear-shaped, collapse and catastrophe occur. The industrial revolution created modernity with ever-increasing imbalance. I am glad to see there are increasing numbers of voices crying out for an holistic approach to today's world problems. This will hopefully save the world from the dangers of blinkered attitudes of materialism, consumerism, greed and selfishness. The industrial revolution created huge opportunities for business which allowed the merchants to control that movement and thus deflecting its humanistic direction towards capitalism which then engendered communism, and as an opposite reaction creating yet another form of blinkered materialism, lacking ethics and respect for human dignity. Q. So from your understanding of Muslim Heritage, what were the essential qualities that kept society running without materialism and yet with scientific and economic growth? A. God awareness, balance, justice, and mercy were seen to be essential qualities of life. Q. It is hard for people in contemporary times to understand that Muslims played a major role in "innovation," and I use that word in my context of taking new ideas and bringing them to reality. What brought the downfall? A. As with others, Muslim culture also decayed after its rise to the heights. Being a mechanical engineer, I like to use the analogy of a car. A car needs petrol (gasoline) to do useful work, which is its motion. Muslims were given the charter by God, the charter to inhabit earth and build a healthy civil society. In later centuries, they took this meaning of doing righteous deeds only to the limit of praying, fasting, and other worship rituals. Pioneering Muslims embraced in their deeds all useful work. Hence their faith (analogous to petrol) was the input and the building of a society was their useful deeds (analogous to movement of the car). They did not care where the petrol came from, but now they are obsessed by it, as to which brand they should buy and from where (analogous to Sunni, Shia, Salafi, Sufi... etc., or Christian or Jew ... for that matter). Q. Your analogy sounds so intuitive; gasoline is just to move the car, and the brand is secondary. Many out there, given the mess the world is in, have become delusional or just gave up. What do you say to them? A. There is a prophetic narration that says to the effect "if you are holding a sapling, and you see the Day of Judgment in front of you, plant it." However, what's interesting is, it takes years for the sapling to grow into a tree and be useful to others. So planting a tree (useful work) was a matter of faith, a useful output, no matter if logically it may not continue. That is, there were no apparent conflicts between faith and science. Anything that is useful for humanity will also benefit the environment. For example, take the saying of ‘Umar the second Caliph that heared God will hold him responsible over a stone or rock on the public path lest a camel or horse trips over it. This led to civil engineers paving roads. There are so many such examples. Q. In your examples, there is a strong tie-in between religion and inventions. In the contemporary world, we see the two to be divorced. What do you make of that? A. When they were together and in harmony, for the Muslims, this was an act of worship. Their work led to advancements and creations of whole new fields in agriculture, medicine, and so forth. Q. In contemporary Muslim societies, there is no sign of these contributions. What happened? A. In the past, Muslim charities set up waqfs, which are endowments that funded research and social benefit to be brought to society. For example, there was even a waqf for angry wives. It was a place for them to vent, get peer advice, and avoid problems like depression, which are so common now. Muslim charities now are primarily focused on building mosques and relief work, which although commendable is a very limited in the scope of what they can do to benefit society at large. In the early times of Islam, unlike today, people were more interested in building the sajid (the worshipper) before the masajid (places of worship). Q. What role did government play in the birth of this golden age of Muslim innovation? A. Governments played a marginal role, but some enhanced and encouraged seeking of knowledge and funded translations of knowledge from Greek, Syriac, Indian, and other languages. However, most useful work was supported and funded by public charities (awqaf). Q. How over so many lands and across such a long time span were Muslims able to continue this path of innovation? A. The spirit of the Prophet didn't stop with him. An organic movement started and it has continued till the present day. It is like a wave through space and time, which is still traveling. Q. There is a big shift in economic growth from the West with China and India leading the way. Their populations are highly educated and leading innovation there and here. Then you have pint-sized places like Dubai, coming from the Muslim Middle East, which sprung up from nowhere, but really not as much human development taking place. Your thoughts? A. If power, economics, or innovation shifts with the same ethos, people are unjust, and there is lack of morality. What kind of world will it be? In many developing countries, people are schizophrenic. They are trying to imitate the West through materialism and consumerism. The Western capitalistic civilization is slipping downwards as did other civilizations that did not respect the law of balance and justice in nature. We can't be just eating, drinking, and consuming. The future world expects us to have balance in our treatment of the environment and the inhabitants of this earth. So if India, China, Africa and the rest of the developing world were to follow the same way of life as the West, the world will be doomed by global warming and a lack of sustenance. Therefore, there needs to be a different civilization emerging from the rest of the world. Q. What is your goal with "1001 Inventions," touring exhibitions, books, and films? A. In school books, after the Greek and Roman civilizations there is a notable gap of a thousand years after which point the Renaissance starts. I would like to have credit given where it is due. The heritage that the Muslims shared with the rest of the world came from a combination of Greek, Chinese, Indian, and old Middle Eastern civilizations. I would like to see the cultural roots of science used as a tool for enhancing social cohesion and intercultural respect so that we have a better world with people appreciating each other's positive contributions and characteristics. Q. What lessons can we derive from these giants who developed all these fields from algebra, chemistry, and modern medicine, to so much more? A. We need to take our role models from the best of the past as well as the present to build a better future. The past giants didn't do all this work for PhDs and Masters, or for excessive recognition and wealth. We need to get back to doing useful work to improve the quality of life for society and the world at large.